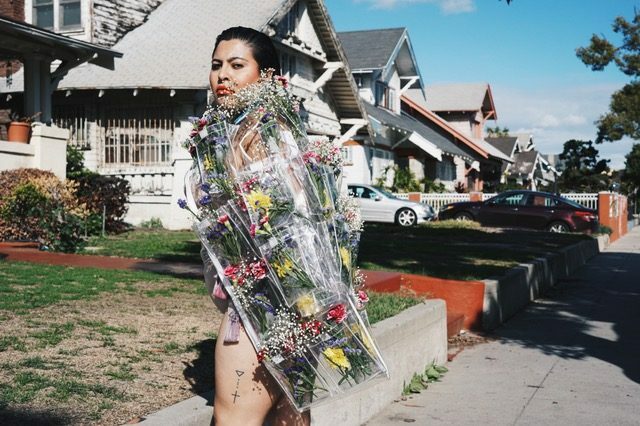 Red Bull Music Festival returns to Los Angeles in February with a series of concerts, film screenings, art events, and pop-ups that celebrate the city’s diverse creative energies. Rather than a single weekend of non-stop music, this festival is made up of individual events happening throughout the month at venues across the region. The headline concerts of the festival include Robyn kicking off her North American tour with two nights at the Palladium, L.A.’s beloved interpolator of traditional Mexican music San Cha at Vibiana, and a Valentine’s Day concert in a historic bank vault in which rappers Rae Sremmurd will mix their own hits with new covers of iconic love songs. Gunner Stahl, a young photographer known for his intimate portraits of hip hop legends, will curate a night of his own, at which he will DJ and be joined by some of his notable musical friends. Center Channel is a new initiative for this installment of the festival. Based at the historic Ukrainian Culture Center, it will combine curated film screenings that highlight diverse and underrepresented voices and a series of panels and conversations. Another first is a collaboration with video game makers Rockstar Games. The company’s Red Dead Redemption 2 is a Western outlaw story with an 80-hour original score by composer Woody Jackson. Jackson will perform a portion of the composition along with a full ensemble and the Indonesian experimental duo Senyawa for a live concert followed by five-day immersive audio installation. A centerpiece experience of the festival–described as a “mini festival within the festival” by McElwain–will be the Illegal Civ Movie Motel. Founded by Mikey Alfred, Illegal Civilization started as a skateboard crew, but now has expanded into a sort of multi-disciplinary operation, producing videos and photo shoots, designing streetwear, and consulting on films like Jonah Hill’s Mid 90s. The squad will be given free reign over the kitschy, vintage Pink Motel in Sun Valley, a mid-century time capsule of Valley architecture with a drained pool that will do nicely as a skate bowl. Announced performances will include Tierra Whack, Show Me the Body, Warm Brew, and others, but expect some surprises as well. What ties all the different elements of the festival together is Red Bull’s interest in providing resources that artists and creators might not otherwise have access to so they can create special performances they otherwise might not be able to pull off. That idea will involve her singing along with female mariachi trio La Victoria, Afro-Latinx musicians Yanga, and a live disco band she has orchestrated featuring L.A. musicians from Sister Matnos and F U Pay Us. Also look for whimsical fashion and costume designs and art installations. 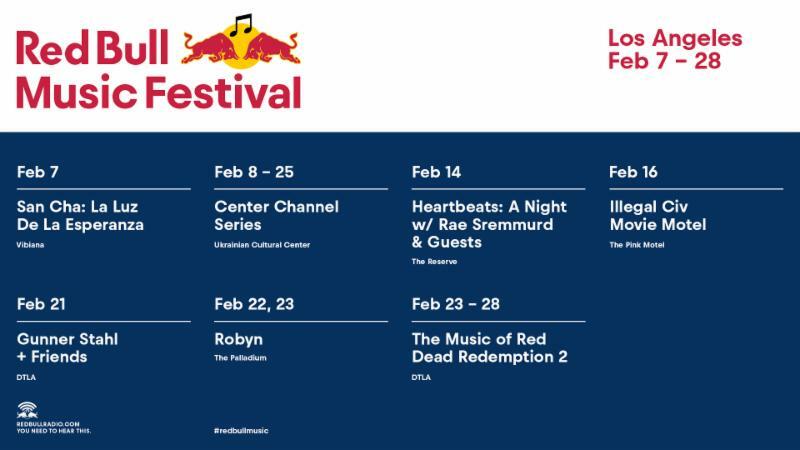 Red Bull Music Festival runs February 7 to 28, 2019 at various locations around Los Angeles. Events are ticketed individually; tickets can be purchased online beginning at noon on December 5, 2018. A Sneak Peek at What’s Happening During Red Bull Music Festival’s Return to L.A.